This article is about the British university. For the university in Hull, Quebec, see Université du Québec en Outaouais. The University of Hull is a public research university in Kingston upon Hull, a city in the East Riding of Yorkshire, England. It was founded in 1927 as University College Hull. The main university campus is located in Hull and is home to the Hull York Medical School, a joint initiative with the University of York. Students are served by Hull University Union. The University's Brynmor Jones Library was the workplace of the poet Philip Larkin who served as its Head Librarian for over thirty years. The Philip Larkin Society organises activities in remembrance of Larkin including the Larkin 25 festival which was organised during 2010 in partnership with the University. Andrew Motion, another prominent poet, and former poet laureate, also worked at the university. Lord Wilberforce was chancellor of the University from 1978 until 1994. Robert Armstrong was the chancellor from 1994 to 2006. Virginia Bottomley was installed as the current chancellor in April 2006. Alumni of the University of Hull are especially prominent in the fields of politics, academia, journalism and drama. They include former MP and later Deputy Prime Minister Lord Prescott (John Prescott), former MP and Deputy Leader of the Labour Party Lord Hattersley (Roy Hattersley) and current deputy leader Tom Watson, politician and author Chris Mullin, social scientist Lord Giddens (Anthony Giddens), poet Roger McGough, journalist John McCarthy and film director, playwright and screenwriter the late Anthony Minghella. Though many of the older buildings on Hull's campus are of red brick it is not a redbrick university in the strictest sense of the term, as it was not founded as part of the civic university movement of the late Victorian and Edwardian eras. Hull, with its origins in the 1920s, has been categorised as a 'younger civic university' (also referred to as a "Whitetile university") and it is placed between the 'redbricks' and the 'plateglass universities' founded in the 1960s. The first principal of the college was Arthur E. Morgan (1926–1935), the second was John H Nicholson (1935–1954), who also served as the university's first vice-chancellor when the college was granted university status (1954-1956). The university coat of arms was designed by Sir Algernon Tudor-Craig in 1928. The symbols are the torch for learning, the rose for Yorkshire, the ducal coronet from the arms of the City of Hull, the fleur-de-lys for Lincolnshire and the dove, symbolising peace, from the arms of Thomas Ferens. These symbols were later reused to create the current university logo. The motto, Lampada Ferens (Bearing the Torch), incorporates the name of the university's founding father within a Latin pun. The college gained its Royal Charter on 6 September 1954. This empowered it to award degrees of its own, making it the 3rd university in Yorkshire and the 14th in England. The twenty six years between the formation of the university college and the awarding of the charter were the shortest such period in the history of university formation in England up to that time. Within a year of the charter being granted applications to study at the new university had doubled, and in 1956 student numbers topped 1,000 for the first time. The academic authority and autonomy of the university is symbolically embodied in the ceremonial mace. Made of gilt silver, and incorporating devices from the Hull University coat of arms, the mace was presented to the university in December 1956 by the Lord Mayor of Hull. As a gift from the city it also reflects the close relationship between "town and gown" existing in Hull. The mace is carried in procession and displayed at all major university ceremonies. The period of rapid expansion of Hull University coincided with the vice-chancellorship of Sir Brynmor Jones (1956-1972), during whose time in office student numbers quadrupled. The Brynmor Jones Library, which houses more than a million volumes, was constructed in two phases: the first phase was fully completed in 1959, with a tower block extension officially opened in 1970. During the 1950s and 1960s a considerable number of academic buildings were built, including the Larkin and Wilberforce Buildings (originally given other names). The 'Martin Plan' of 1967, Sir Leslie Martin was the university architect, envisaged a campus with its tallest buildings in the centre surrounded by buildings diminishing in height towards the perimeter. In the course of the 1960s most of the departments housed in temporary structures were moved into new purpose-built premises. However, Biochemistry was still partially located in a 'hut' to the rear of the Venn building into the early 1980s. This early phase of expansion through building ended in 1974, after this year there was to be no further academic building construction on the campus until 1996. However, student numbers doubled in this period, with the university becoming highly efficient in using its existing building stock. In 1972 George Gray and Ken Harrison created room-temperature stable liquid crystals in the university chemistry laboratories, which were an immediate success in the electronics industry and consumer products. This led to Hull becoming the first university to be awarded the Queen's Award for Technological Achievement for the joint-development of the long-lasting materials that made liquid crystal displays possible. In 2000 the university bought the site of University College Scarborough on Filey Road, Scarborough, plus two linked buildings on the same road. This became the University of Hull Scarborough Campus. A further significant expansion took place in 2003, when the buildings of the University of Lincoln campus, which were situated immediately adjacent to Hull University's main campus, were purchased. The acquisition increased the size of the Cottingham Road campus by more than a third. It was the largest single act of expansion in the history of the university. Hull University fully occupied the newly acquired premises in the 2005 academic year; the area becoming the university's West Campus. The site now houses the Hull York Medical School and the relocated business school, which is located in three of the most prominent buildings – Wharfe, Derwent and Esk. In 2012, the University began the ambitious refurbishment of the Brynmor Jones Library, a £28 million project which will transform the 7 storey former workplace of Philip Larkin, into a learning hub suitable for students for years to come. The project is due for completion in the summer of 2014. The Hull History Centre, which opened in 2010, is located in a new building on Worship Street in Hull city centre. It unites the holdings of Hull City Library's Local Studies collections and Hull University's archives and is run in partnership between the City Library and University Library. Graduates from a ceremony at the University of Hull gather outside Hull City Hall under the installation Blade, part of the Hull UK City of Culture 2017 celebrations. The University was a principal partner of the City's bid to become UK City of Culture in 2017. As well as being involved in the planning and preparation of the bid, the University and its staff and students have been involved in many of the events of the year. For example, during the initial three-month season, Hull Maritime Museum displayed a multimedia installation depicting a Bowhead whale The installation was designed by students from Hull School of Art and Design with music by students from Hull University. The opening event of the whole year, from 1–7 January, included a multimedia projection called Arrivals and Departures which was greatly influenced by the work of Dr Nick Evans on migration patterns into and through Hull. The installation was projected onto The Deep using stop-frame animation, image and sound. The main campus is located in a residential district of North Hull on Cottingham Road. The University had a smaller campus in Scarborough on the North Yorkshire coast. Hull University is a campus university; though situated in a city, its main campus is in a suburban rather than urban district. The main campus occupies a single, clearly defined site and is self-contained in regard to catering and entertainment for students and staff. Most of the major features of the campus are described in the 'history' section above; in addition, the campus has a large Students' Union building, which is often described as one of the finest in the country, and extensive playing fields and other sports facilities. The large village of Cottingham on Hull's north-western outskirts houses some of the university-owned student accommodation. University of Hull: Scarborough Campus was a satellite campus of the university located in Scarborough, North Yorkshire, attended by approximately 2,000 students. Formerly a higher education institution offering BSc and BA degrees, the building was acquired by the University of Hull in 2000, offering Education courses, particularly at a primary level, as well as courses in Marine Biology, Digital Media, Music Technology Theatre Studies, Tourism Management, and a number of Business and English courses. Scarborough ran somewhat independently of the main campus in Hull, with its own branch of the Hull University Union. Graduation ceremonies took place within Scarborough's historic Spa Complex. The campus also contained basic amenities for study, such as computer labs, performance studios for students of Theatre and Dance related courses as well as dedicated music suites in the "Filey Road Studios" building opposite the campus. In April 2014, the University released a statement that Scarborough Campus was "not sustainable in the medium to long term", and in June held a public consultation outlining the future of the campus with a new academic model in mind. In March 2015, it was revealed that the Hull College Group were the University's "preferred partners for taking forward the Scarborough Campus". 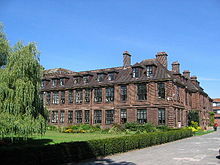 The college returned to its former name, "University College Scarborough" and became part of the Hull College group, but still hosts programmes from both Hull College and the University of Hull. Until recently, there were two faculties, the 'Faculty of Applied Science & Technology' and the 'Faculty of Science & the Environment', before becoming the 'Faculty of Science' and later being renamed to the 'Faculty of Science and Engineering'. Notable centres for research include the Hull Immersive Visualisation Environment (HIVE), the Institute for Estuarine and Coastal Studies (IECS), the E.A. Milne Centre for Astrophysics (MCA) and the G W Gray Centre for Advanced Materials. A new biomedical research facility will bring academics from biology and chemistry together and will include Positron Emission Tomography with CT scanning (PET-CT) and two mini cyclotrons. Two new research groups will be based at the facility, called the Allam building: one focusing on cardiovascular and metabolic research and the other on cancer. Based in the Calder, Aire and Dearne buildings in the west campus. The Leven building contains mock clinical areas, wards, an operating theatre and a midwifery suite, within a simulated environment. Loxley Building, Hull York Medical School. Teaching of medicine began in October 2003 on the west campus. Medical students receive joint degrees from the universities of Hull and York. The school includes the 'International Society for the Study of Cough' based at Castle Hill hospital on Castle Road in Cottingham. Third and fourth year students train also at hospitals in Scunthorpe, Grimsby, and Scarborough. Established in 1994, one of the PGMI's sections is the Yorkshire Cancer Research-funded Centre for Magnetic Resonance Investigations which is actively engaged in researching the application of magnetic resonance imaging and magnetic resonance spectroscopy techniques to cancer research. Established in August 1999, Hull University Business School has around 3,500 students from over 100 countries. Students are taught at the Hull campus, with additional MBA students taught overseas. On the Hull campus, the school occupies refurbished listed buildings on the West Campus which were opened in 2005. The Logistics Institute was completed in September 2007, and officially launched in March 2008. In 2011, following accreditation by the AMBA, EQUIS and AACSB, the Business School became the first in Yorkshire, and the 13th in the UK, to achieve "triple crown accreditation" status. The Wilberforce Institute, patron Archbishop Emeritus Desmond Tutu, for the study of Slavery and Emancipation (WISE) is located in Oriel Chambers on the High Street in Hull's Old Town, adjacent to Wilberforce House. It undertakes graduate research in the field of slavery and human rights. Director: David J Starkey The University's Maritime Historical Studies Centre provides a BA in History and Maritime History, an online Diploma in Maritime History and PhD research in maritime history. The Centre is located in the Hull's Old Town in Blaydes House. Since 2016 the university has hosted a Confucius Institute. The institute is located in the Dennison Centre on Cottingham Road, Hull HU5 2EG. Hull University Union is the main provider of student catering, services and entertainment on the university campus. It has over 100 student societies affiliated to it, and also runs a volunteering and charity hub. Approximately 50 sports clubs are affiliated to the Students Union's Athletic Union, many of which compete in BUCS national university leagues. The University Union was voted Students' Union of the Year in July 2012. The student union building comprises an on-site nightclub as well as a number of bars and catering outlets. The building also houses a shop, a Waterstones book shop, advice centre, and the university-run careers service. There is a monthly student newspaper called The Hullfire, an online television station called Hullfire TV and a student radio station which broadcasts from the union building called Hullfire Radio. Taylor Court is located next to the Wilberforce building and houses 288 students in en-suite rooms with shared kitchens. The Courtyard opened in 2016 and is situated next to the Student Union, it houses 562 students in en-suite rooms as well as some rooftop apartments. Westfield Court partially opened in 2018 on the site of the former medical school. It is expected to be completed by the start of the 2019/2020 academic year. It will house a total of 1462 students in a mix of single and cluster flats. The University also has halls located in the nearby village of Cottingham at The Lawns: seven halls which could hold around 1,000 students. In March 2019 it was announced that The Lawns would not be taking in students for the 2019/2020 academic year citing a lack of demand. In the recent past there were additional halls of residence in Cottingham at Needler Hall which closed in 2016, Thwaite Hall which closed in 2017 and Cleminson Hall (located adjacent to Thwaite Hall) which closed in 2004. Also, on-campus accommodation was available in Loten Hall (now known as the Loten Building). Student housing is based primarily in the terraced streets around the university campus itself, as well as around the Newland Avenue and Beverley Road areas of the city. ^ "University of Hull Statement of Accounts 2015/16" (PDF). University of Hull. Archived from the original (PDF) on 2 February 2017. Retrieved 2 March 2017. ^ "Annual Report and Financial Statements 2016" (PDF). University of Hull. p. 14. Archived from the original (PDF) on 2 February 2017. Retrieved 2 March 2017. ^ a b "Higher Education Statistics Agency – Home". HESA. Retrieved 15 May 2014. ^ "Academic Dress: Gowns, Robes, Hoods and Caps – University of Hull". University of Hull. Retrieved 15 May 2014. ^ a b "The history of our buildings – University of Hull". University of Hull. Archived from the original on 1 February 2014. Retrieved 15 May 2014. ^ "The Independent newspaper, A-Z of universities, 3rd para". The Independent. London. 13 August 2010. Retrieved 29 May 2011. ^ Beloff, Michael (1970) The Plateglass Universities, Fairleigh Dickinson University Press, p. 19. ^ a b ""The Mace – a potent symbol of authority", University of Hull Alumni Site". Hullalumni.org. Archived from the original on 6 February 2012. Retrieved 28 May 2011. ^ a b c d "History – University of Hull". University of Hull. 27 June 2013. Archived from the original on 7 January 2015. Retrieved 15 May 2014. ^ "You are being redirected". University of Hull. Retrieved 15 May 2014. ^ "Poet laureate opens £28m library". 16 September 2015. Retrieved 10 April 2019. ^ "Bowhead". Hull UK City of Culture 2017. Retrieved 18 January 2017. ^ Young, Angus (5 January 2017). "Family of whales brought to life for amazing City of Culture show". Hull Daily Mail. Archived from the original on 18 January 2017. Retrieved 18 January 2017. ^ "Made in Hull: migrant research transformed into visual journey – University of Hull". Archived from the original on 2 February 2017. Retrieved 20 January 2017. ^ "Scarborough Campus Future". University of Hull. Archived from the original on 19 October 2015. Retrieved 20 September 2015. ^ "HIVE – University of Hull". University of Hull. Archived from the original on 17 May 2014. Retrieved 15 May 2014. ^ "E.A. Milne Centre for Astrophysics, University of Hull". University of Hull. Archived from the original on 3 August 2016. Retrieved 5 August 2016. ^ "Professor George William Gray". hullhistorycentre.org.uk. Archived from the original on 19 January 2016. Retrieved 5 August 2016. ^ "Logistics Institute Launch". Hull regeneration. Retrieved 26 October 2011. ^ "International honours for Hull University Business School". University of Hull. Archived from the original on 9 April 2011. Retrieved 6 April 2011. ^ "Hull Students' Union is best in the country! – University of Hull". University of Hull. 7 January 2013. Archived from the original on 17 May 2014. Retrieved 15 May 2014. ^ "Taylor Court". University of Hull. Retrieved 31 March 2019. ^ "The Courtyard". University of Hull. Retrieved 31 March 2019. ^ "Westfield Court". University of Hull. Retrieved 31 March 2019. ^ "The Lawns accommodation to close". University of Hull. 20 March 2019. Retrieved 31 March 2019. Wikimedia Commons has media related to University of Hull.